Black and white photos have a charm of their own, right? I mean I personally believe they add a beautiful touch to the actual photo and make it look a lot more striking. Look at this photo of a mother kissing her baby girl while holding her in the arms. Here is one super adorable picture where you can fell the mother-daughter love clearly. This is one stunning photo beautifully captured where you can see a mother carrying her beautiful daughter on her laps. The daughter looks super happy. 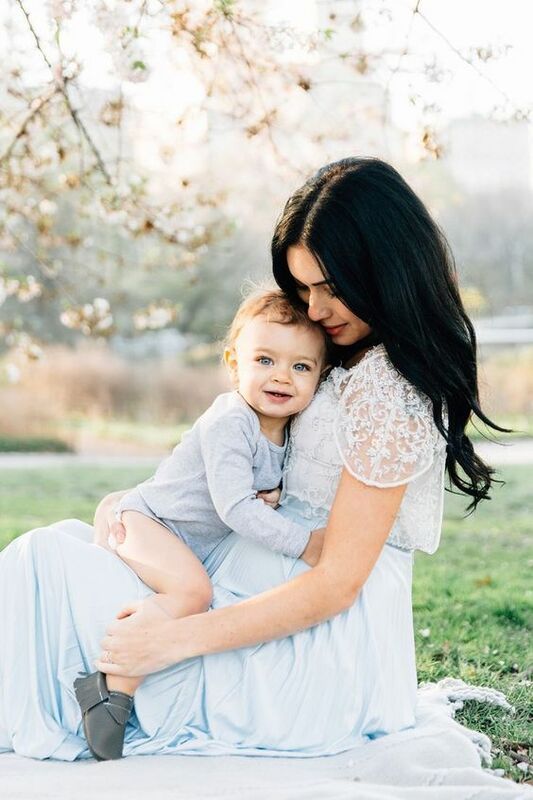 Mother and daughter shoots in the most perfect lighting are so important as you can cherish them for a lifetime. 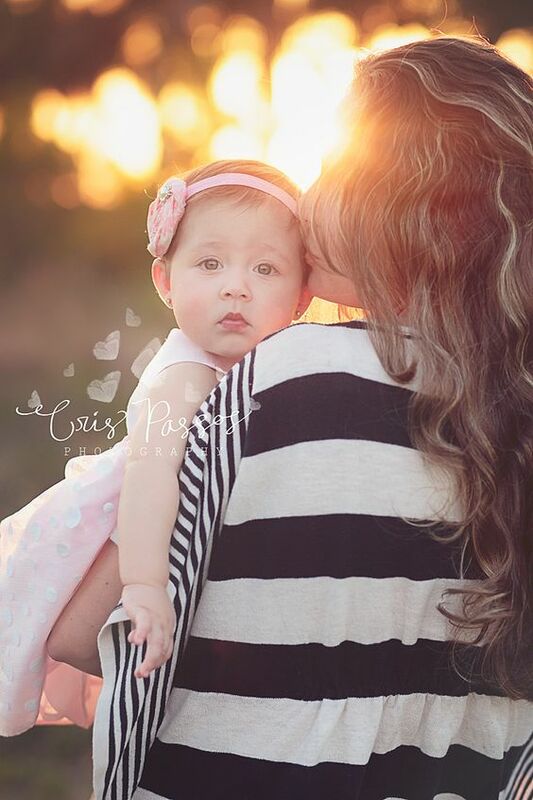 How adorable is this photo of a mother kissing her daughter on the cheeks while the sun is setting? The white colored outfits make the whole scene more beautiful. Photos where you can actually see all the emotions are very special and they even look very natural. 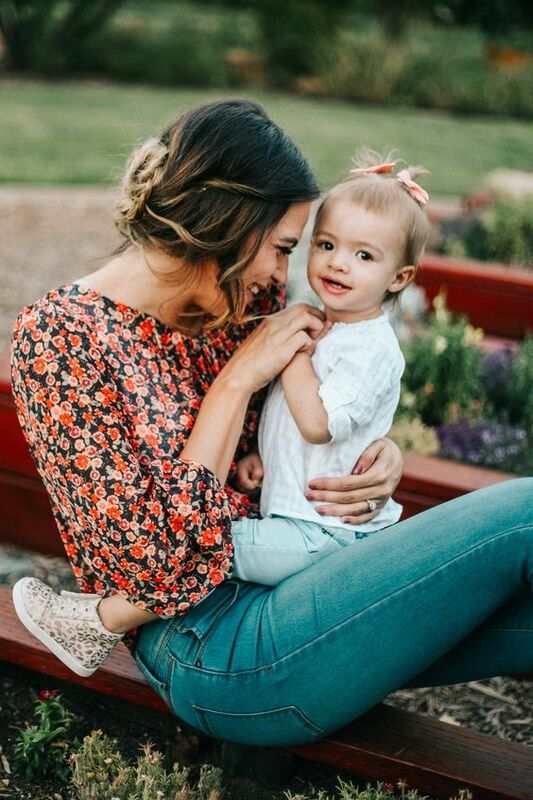 So, have a look at this adorable photo where you can see that the daughter is crazily laughing about something and the mother is looking at her with love and smile on her lips. 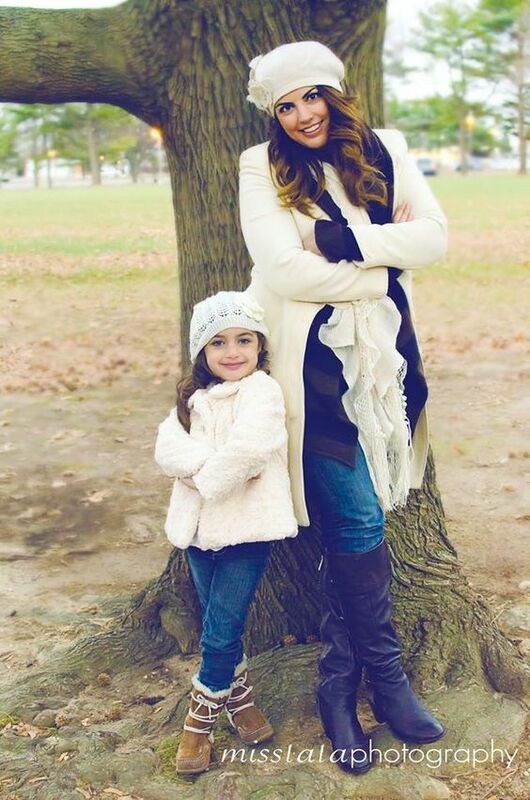 Can you feel the warmth of love through this photo of a mother and daughter in super cold weather? Well, I definitely can. I mean look at how adorable this photo is where you can see mother and daughter wearing beautiful matching clothes. What's cooking girls? Looking at the mess down below we can actually guess that the mother and daughter are busy looking for a recipe to make something yummy. I am in love with how candid this shot look and don't forget to notice their adorable outfits. Don't we all love playful photos which look super natural and real? Well, I'm sure we all do so here's a treat for you all. This is an adorable photo of a mother playing with her adorable tiny daughter. You can see the happiness and the love in daughters eyes. The love between mothers and daughters is extremely special and the purest in the whole world. Now, this photo doesn't have just one daughter with mother but two daughters who are beautifully dressed up in the same outfits. 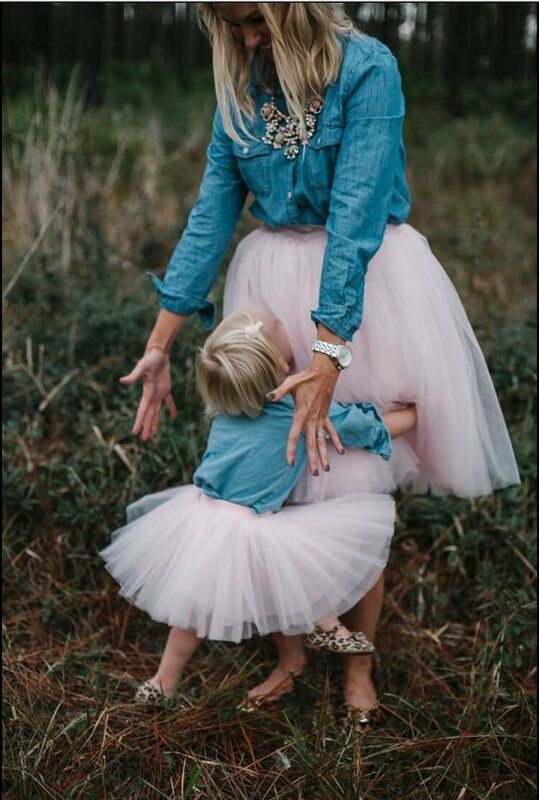 Mother is twirling her cute daughter. Balloons are every girl's favorite no matter what age they are. 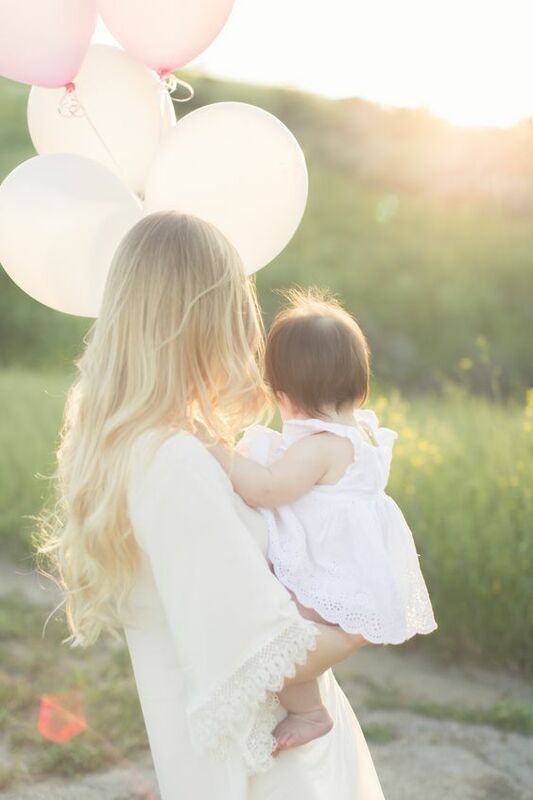 Look at this stunning shot of a mother carrying her beautiful daughter with balloons in front of them. However, we can only see their backs but the love is clearly visible. The photographer has done an amazing job with this photo. This is one super adorable photo where you will be forced to smile just by looking at it. 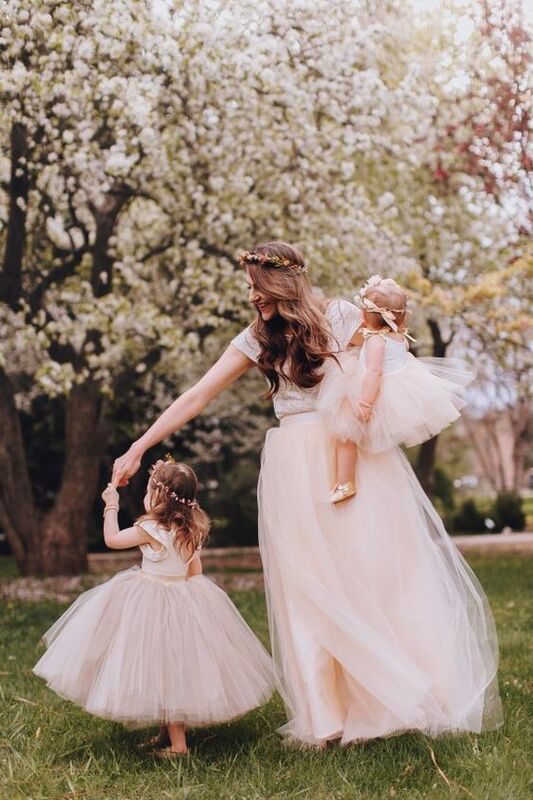 The cute mother-daughter duo is dressed up in matching outfits and you can see the tutu skirts. Moreover, the daughter is tightly hugging her mother by catching her legs. 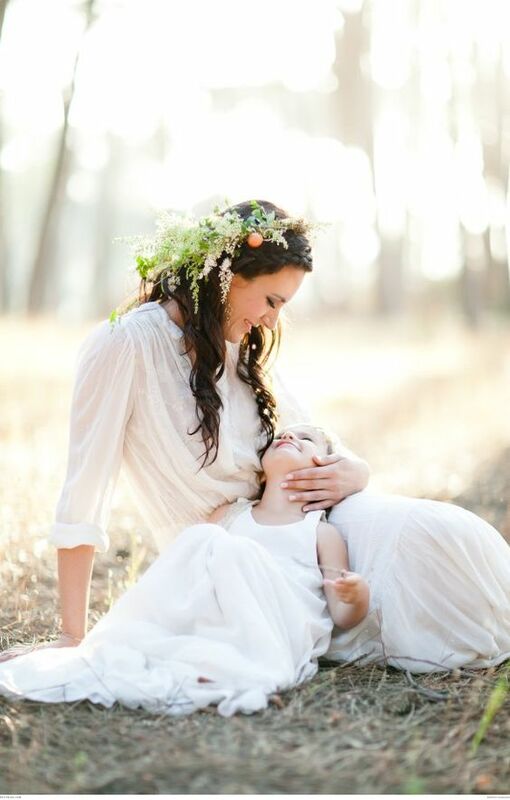 How serene and beautiful is this shot of mother and daughter depicting their purest love? Nature and the surroundings make this phoot a lot mroe bneautiful. They are even wearing the same color dresses which makes this photo very special. 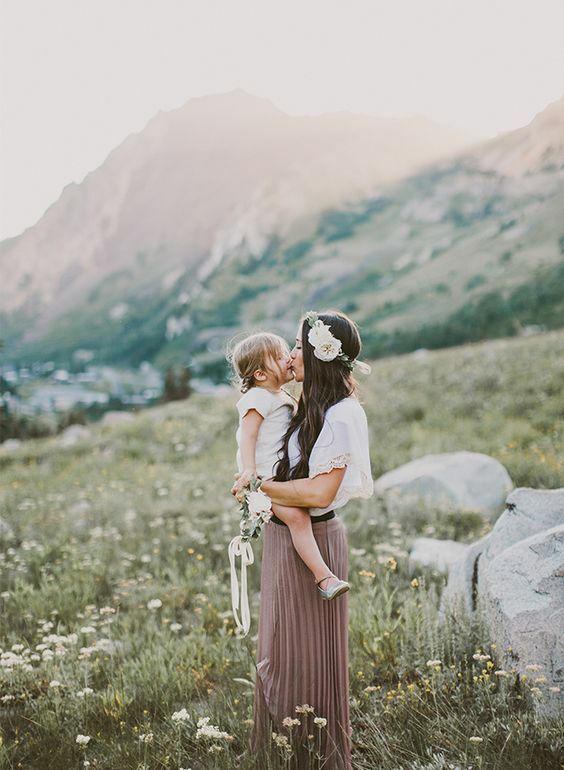 How gorgeous is this photo of a mother kissing her beautiful baby daughter? I so want to pull the cheeks of this adorable munchkin at the front. The beautiful bokeh effect with the sunlight and the beautiful lighting in the background makes this photo look even more beautiful. Here comes one more photo that is definitely going to melt your heart, This is a lovely photo of a daughter kissing her mother on the face. Don't forget to notice the hair of the daughter tied in a beautiful bun. This photo shows so much love between them. All the families have these special nighttime moments where you just sit with each other in your comfortable pajamas and talk your heart out. 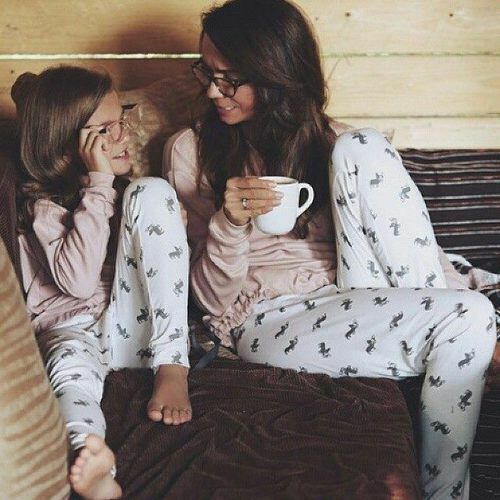 This photo depicts one of those moments where you can see that the mother are daughter are having a conversation in their matching pajamas. Don't we all love happiness and want to be surrounded by happiness? Well, I am sure all of us do. So, here's a happy picture for you where you can see a mother and daughter lying down with big smiles on their faces. The photo has been very beautifully captured. Silhouettes are our favorite when it comes to taking amazing photos. 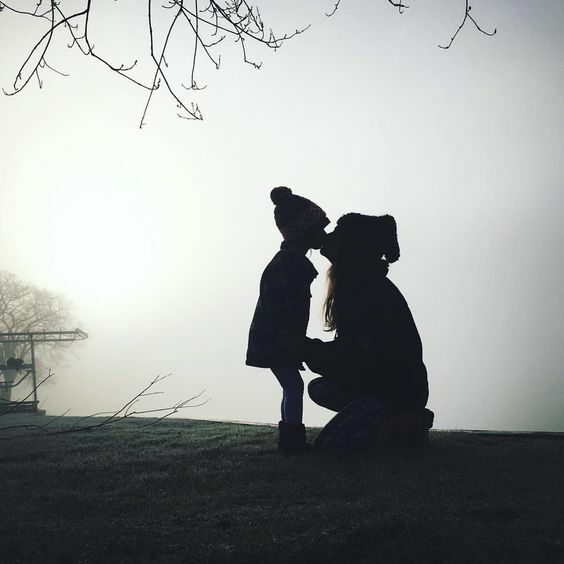 Now, look at this gorgeous silhouette photo of a mother kissing her daughter in the foggy place. The picture is very beautiful as you can only see the dark objects and no colors. Mountainside pictures have a beautiful feel of their own where they make everything magical. 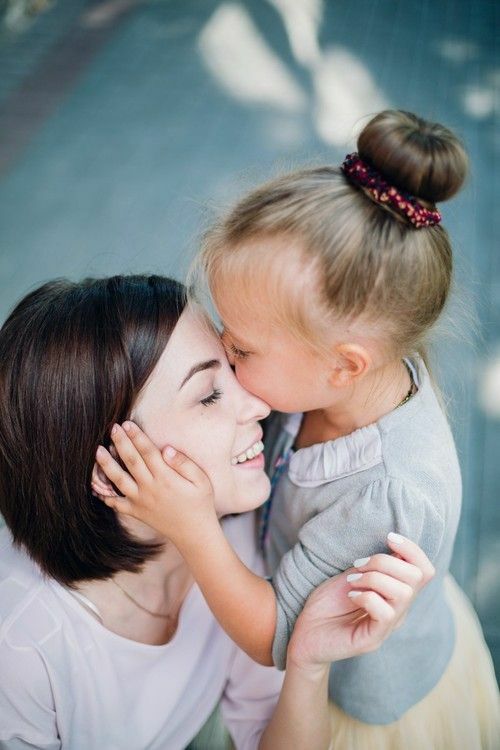 How gorgeous is this photo of a mother kissing her beautiful daughter? The background and the beautiful scenery makes this photo a lot more special. 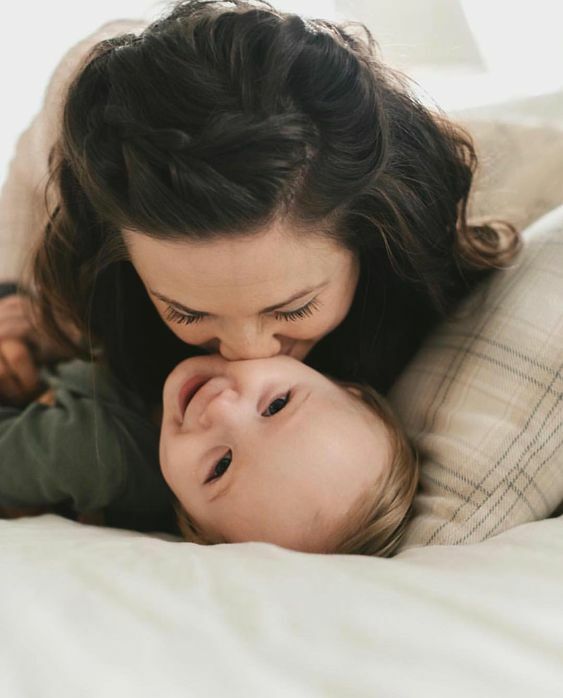 How adorable is this photo of a mother playing with her super beautiful baby girl? You can very clearly see the mothers love in this photo where the mother looks extremely happy while playing with her daughter. Moreover, the colors of the photo look great too. We all love cute mother-daughter photos in the matching outfits right? They give the loveliest feels and you can get that idea by looking at this stunning photo. A beautiful mother is playing with her baby girl while teasing her. The matching outfits make this photo a lot cuter. How can anybody not love such cute photos? You can actually feel the warmth and love of a mother by looking at this photo. The mother is tightly hugging her baby daughter in her arms and I can actually feel the beautiful bond that they have. 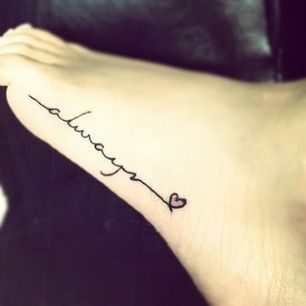 The word "always" is super s[pecial and has a very deep meaning behind it. This is the reason people like getting it tattooed for their loved ones. Here comes another stunning tattoo that you can get with your mother. It has the word always with a heart at the end. The bond between a mother and daughter is magical and it can never be broken. 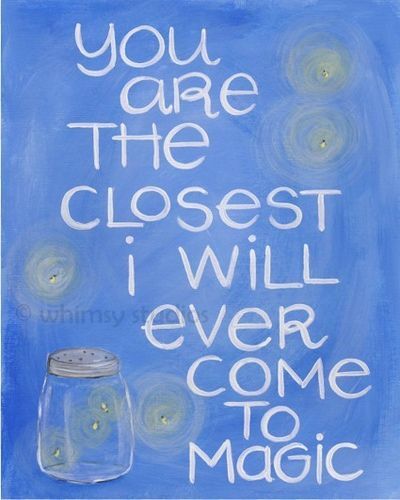 In this quote a mother saying to her daughter that you are the closest I will ever come to magic. They have so much spark and love to give which is almost magical. What a beautiful and a happy picture this is! 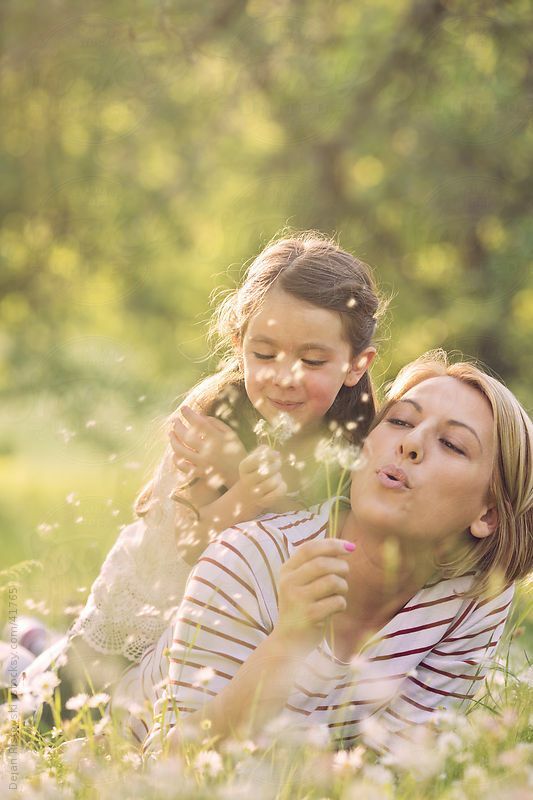 You can see that the mother and daughter are having a lot of fun while blowing out the dandelions. The photographer has also done his/her job pretty perfectly where you can see the details. 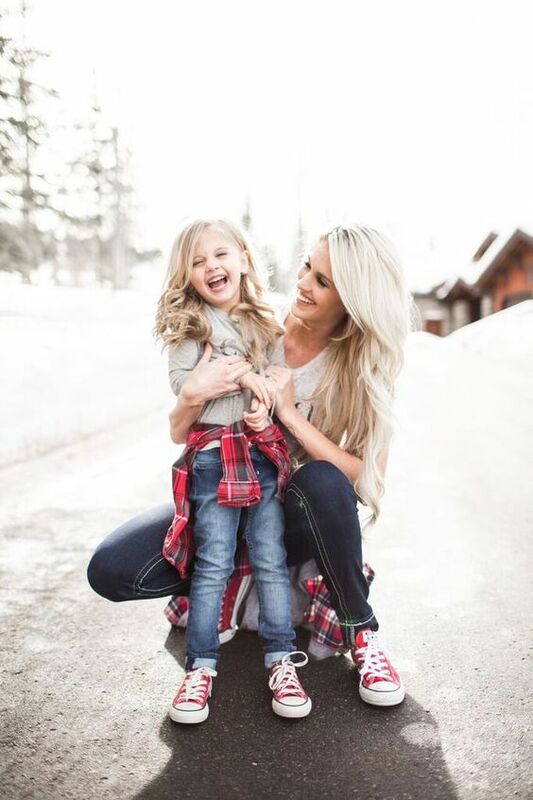 There are various kind of mother-daughter pairs that love the same things. So, if you guys are fans of music and want it tattooed on your body then I have the most perfect tattoo for you. 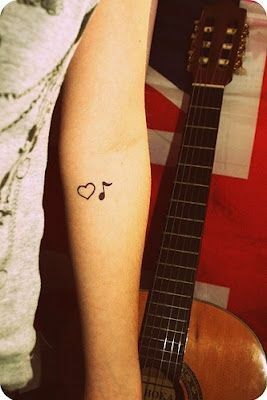 Here is a tattoo that has a tiny cute heart together with a music note that looks beautiful. 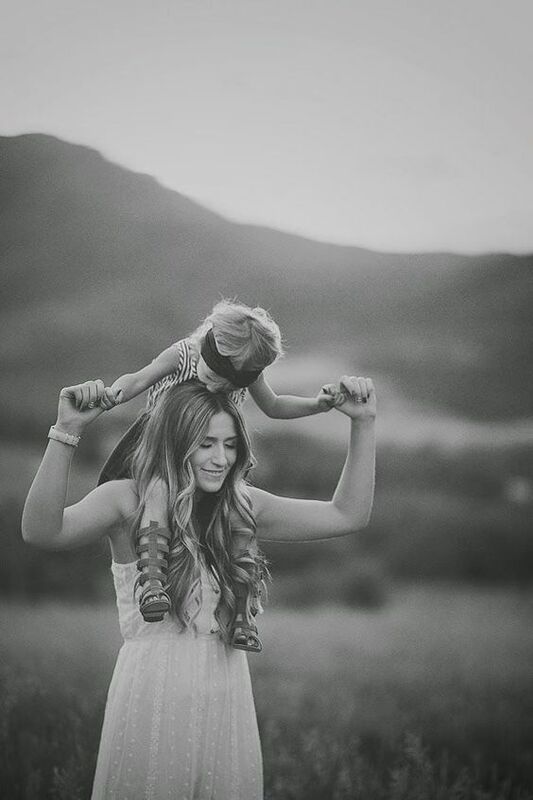 A bond between mother and daughter is indescribable and the most special one. It has its own charm and is a rollercoaster ride. 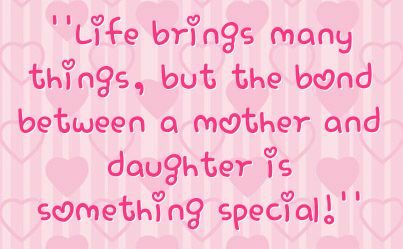 Now, this quote states that life brings many things, but the bond between mother and daughter is very special. Our mothers have magical powers where she can get to know everything regarding a child within minutes. Whether we want to tell them or not, she knows when her child is hiding something. 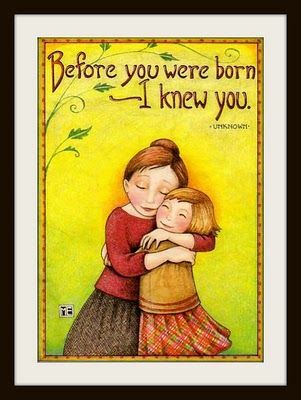 In this quote, a mother is telling her daughter that even before she was born, she knew her. Are you feeling the love all around by looking at this adorable photo? This has to be the cutest photo where you can see a mother holding her daughter where she's sleeping peacefully on her mother's shoulders. Everything about this photo is adorable. A daughter is a treasure for her parents. 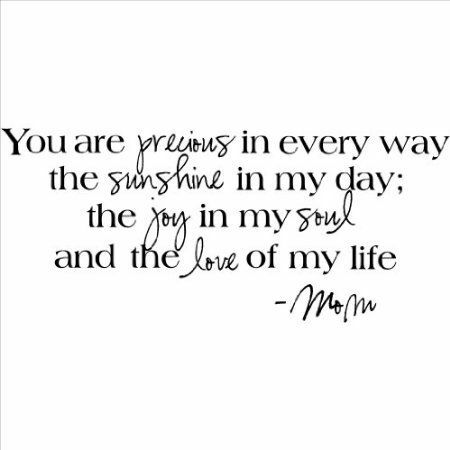 How beautiful is this quote where a mother has written something for her daughter? It says you are very precious to me in every way and the sunshine in my day. Moreover, the joy in my soul and the love of my life. Simple tattoos always look pretty and clean which makes them look more attractive on the body. 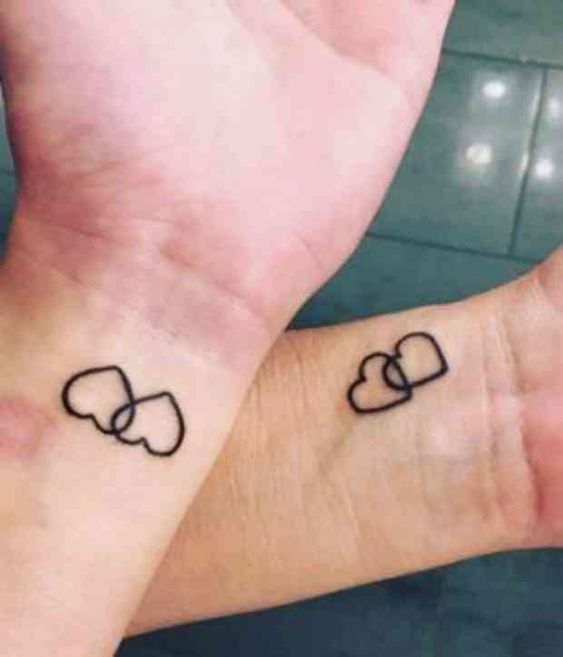 Now, look at this matching tattoo of mother and daughter where you can see simple hearts that have been made on the wrists. They look pretty cool and you can make them according to your choice. 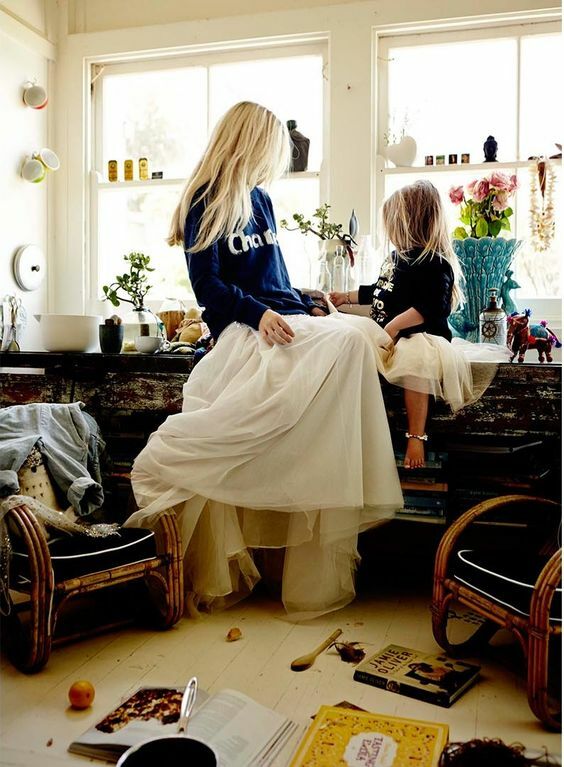 A mother-daughter play time is equally important to make the bond a lot stronger and healthier. Here's one adorable photo where you can see a beautiful mother is carrying her baby on her shoulders. The expressions and the beautiful color makes this photo so much special. A mother always wants to see her children/daughter be happy forever and grow positively in every way. 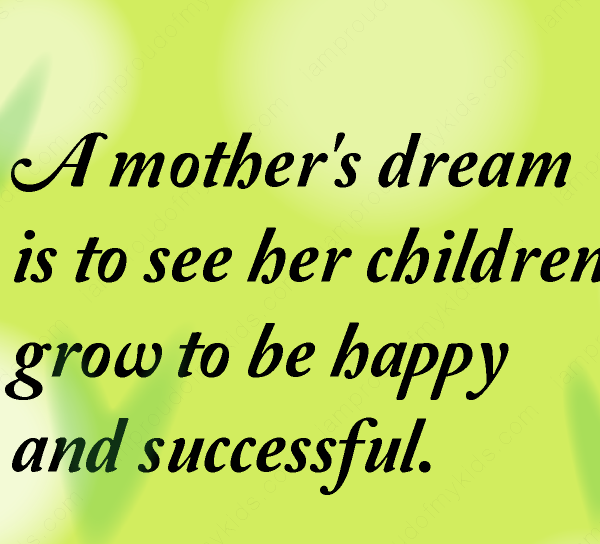 This is yet another amazing quote which says that a mother's dream is to see her children grow to be happy and successful. Inner finger tattoos are really cool and perfect for people who don't like huge tattoo designs on their bodies. 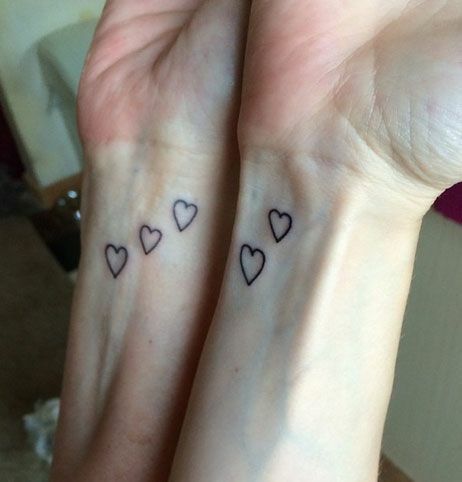 This tattoo is perfect5 for mother and daughter as a matching tattoo. This is made on the inner finger which has an infinity symbol with a tiny simple heart at the end of it. 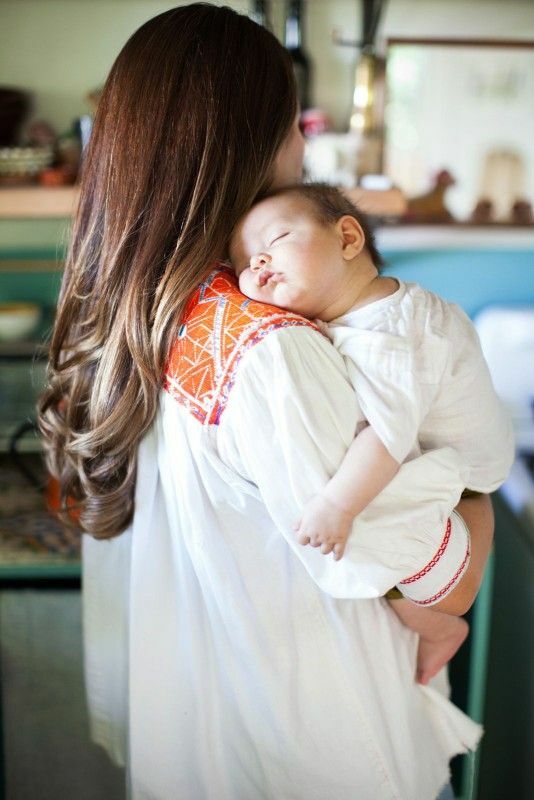 Becoming a mother is a very magical and emotional thing that almost every woman experiences and nothing can beat that. 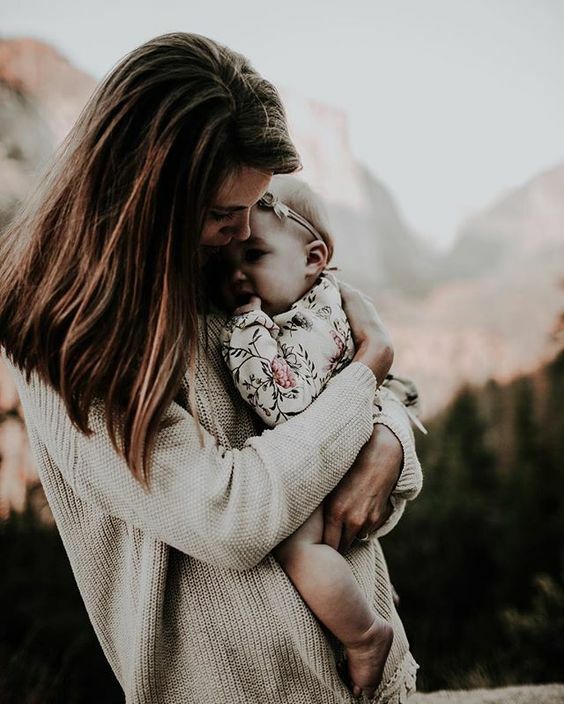 This is a lovely quote which says that the day you become a mother is the day you will get to see your heart walking right in front of you out of your body. Some people like their tattoos to be big and have a lot of written stuff over them while on the other hand, there are people who like their tattoos to be tiny and simple. 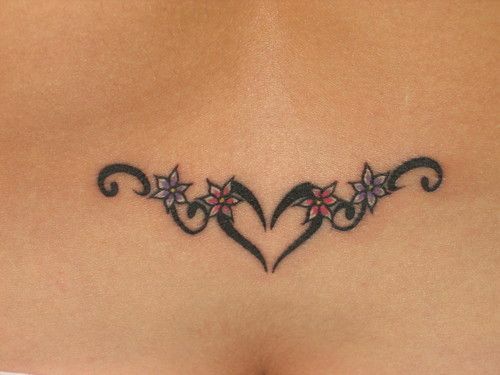 This tattoo is an example of the latter one where you can see two tiny hearts attached to one another. Hearts are the cutest symbol in the tattoo world which can be made however you want and will still look adorable. Some people like big tattoos whereas some are fans of small cute tattoos. Look at this beautiful tattoo of two hearts overlapping at the side looking amazing. All parents love their daughters no matter what, The parenting is extremely important if you want your children to be kind and perfect. 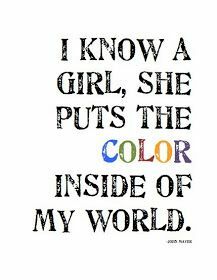 Now, this is a lovely quote where a mother says that she knows a girl who puts color inside her world and that is her daughter. We have often heard people saying that children imitate their parents adn want to be like them.Well, it is super true. This quote says that And I wonder if I can ever be like you. 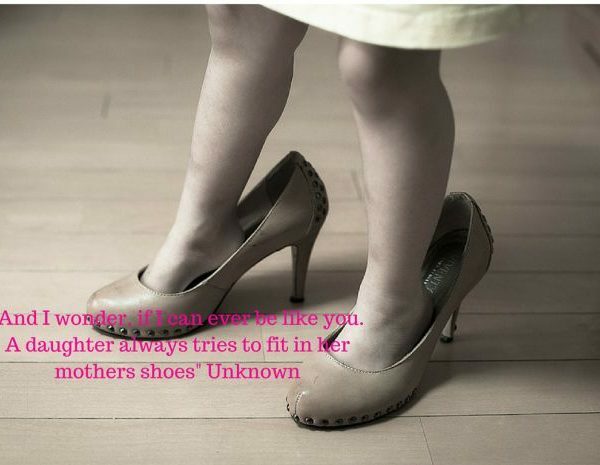 A daughter always tries to fit in her mother's shoes. This is one beautiful quote which depicts the reality of a woman. It says that when the child is born, a mother is also born. She never existed before, just a woman existed. 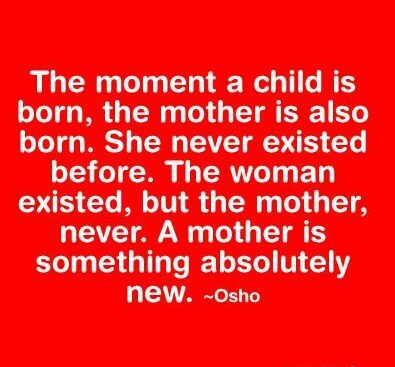 But after giving birth to her child/daughter, a mother is born with it. This is one beautiful quote where a mother describes her love for her daughter. It says that a mother wanted her before she was even born, loved her when she was an hour old and she is ready to even die for her. 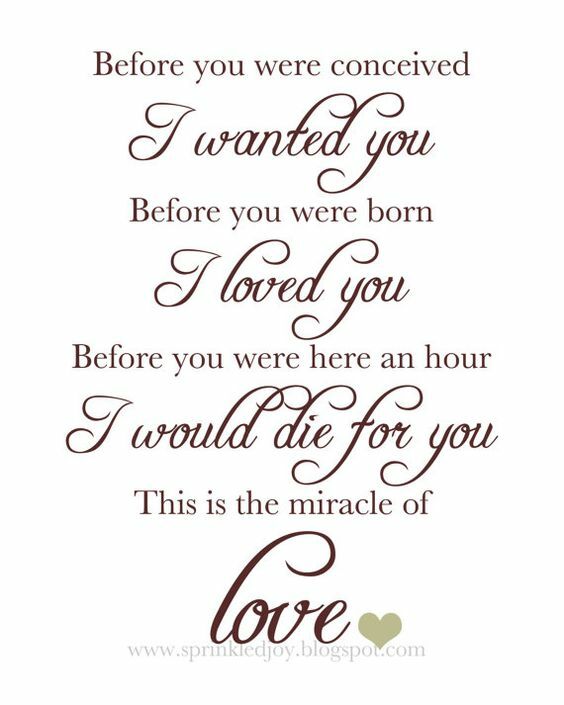 That is what you call the miracle of love. Have a look a this gorgeous and super creative matching tattoo that is going to be your new favorite. 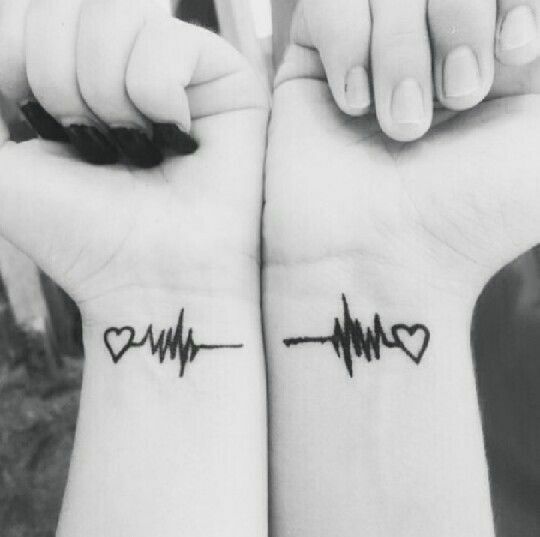 This tattoo has a heartbeat and at the end of the heartbeat you can see a tiny heart which looks amazing. This tattoo can be made on the wrist and it will look stunning. 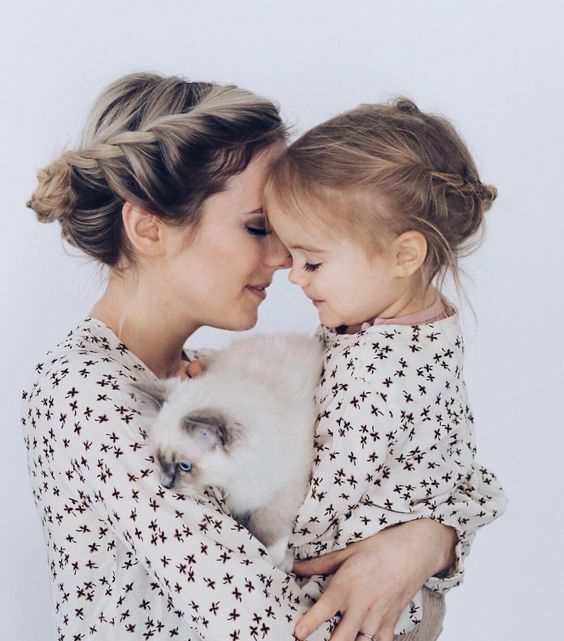 How gorgeous is this photograph of a mother with her adorable daughter and a beautiful kitty in between them? This picture is super adorable and anyone can literally fall in love with it. Not to forget the matching outfits that take this photo to another level of cuteness. The fall season has its own charm and beauty. You can see that the pictures taken in the fall season have a magic of their own where the leaves are everywhere. 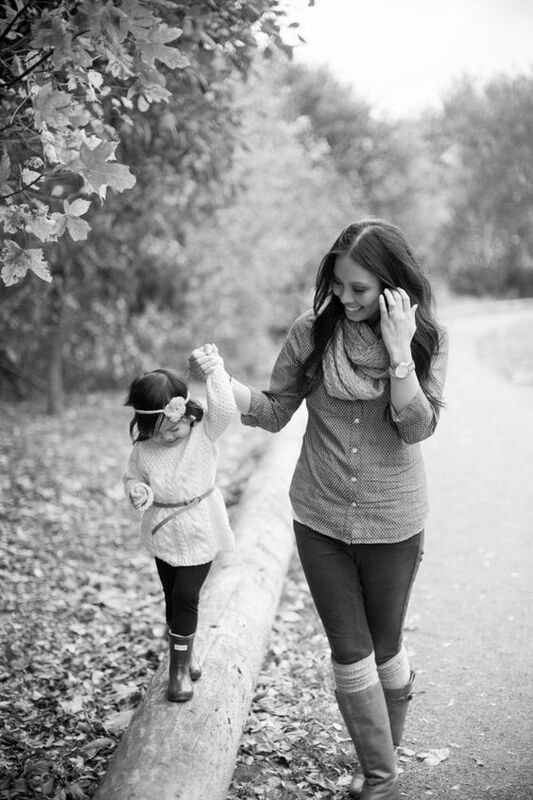 This is another fall photo of a mother holding her daughter hand while helping her walk. Mothers and daughters have a really special bond that is indescribable. 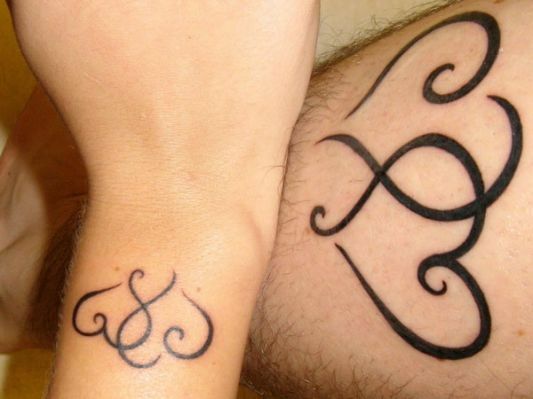 If you are planning to get matching tattoos with your mother or daughter, they have to be extra special. Look at how beautiful this tattoo is which has a tiny heart on the wrist with the initial of the person you're getting the tattoo for. Strong mothers raise strong daughters that are not afraid to face the difficulties of life and are not scared of anyone. 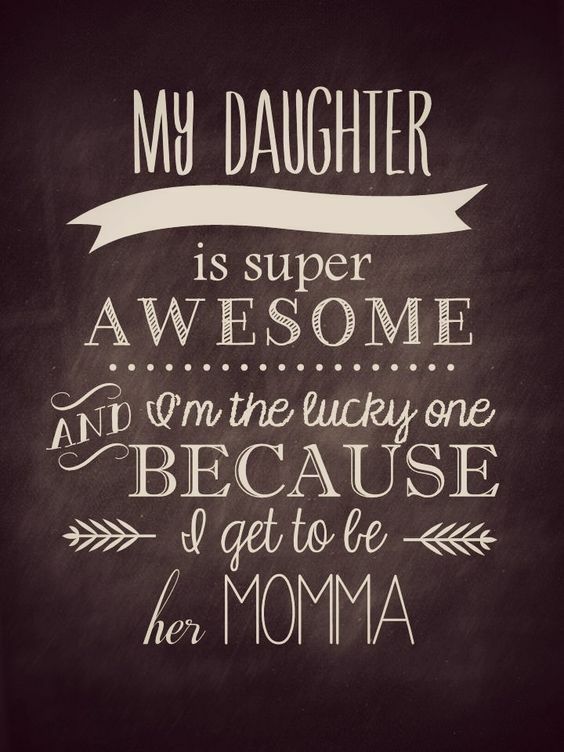 This is one amazing quote where a mother says that my daughter is awesome and she is proud to be called her mother. Flowers and hearts are a combination which is the most perfect one and adored by tons of people. This combination can never go wrong and always looks the best. Here is yet another tattoo for a mother and daughter that has a heart design with flowers at the sides. 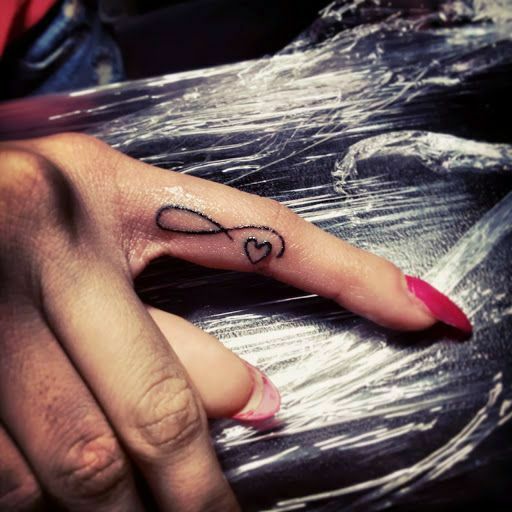 Infinity hearts is one of the most favorite symbols to get tattooed when it comes to most people who want to get a tattoo made for their loved ones. You can get them made in any size and at any part of your body. 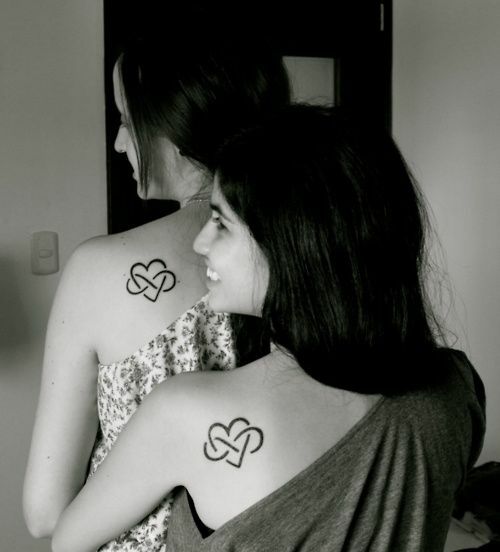 Have a look at this beautiful matching infinity heart tattoo that has been made at the back of the mother and daughter. This is one of the cutest quotes about a mother daughter relationship. 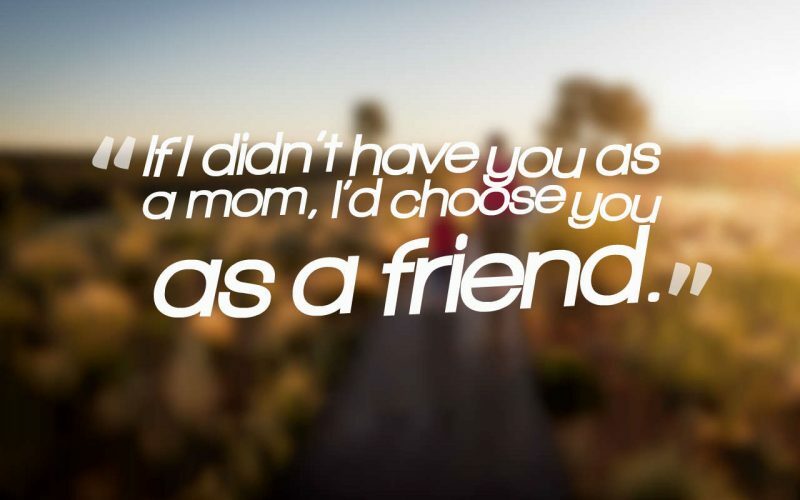 It says that if I didn't have you as a mom, I'd choose you as a friend. A mother gets to know her daughter and can never even think of staying away from her. Creative tattoos always turn out to be the best and look very unique from the rest of the tattoos. They can grab anyone's attention within minutes. How amazing is this hear made of palm trees? This is a perfect tattoo for a mother and daughter. 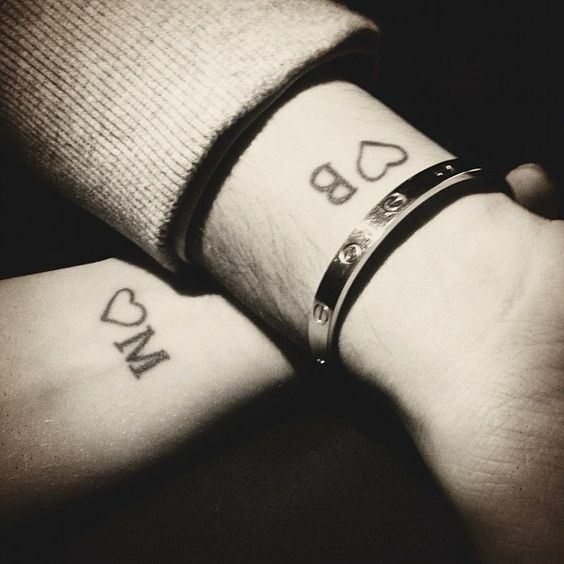 Heart tattoos look adorable when you are getting them done for your loved ones. 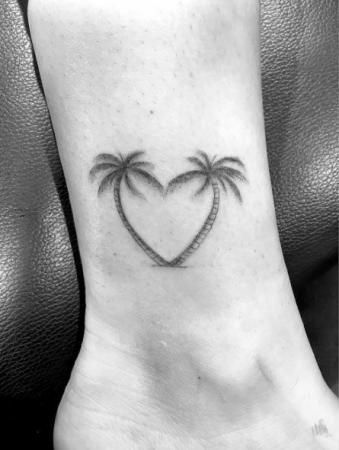 If you are a person who likes to be a little different and creative then attempt this tattoo design and stand out of the crowd with your mother. 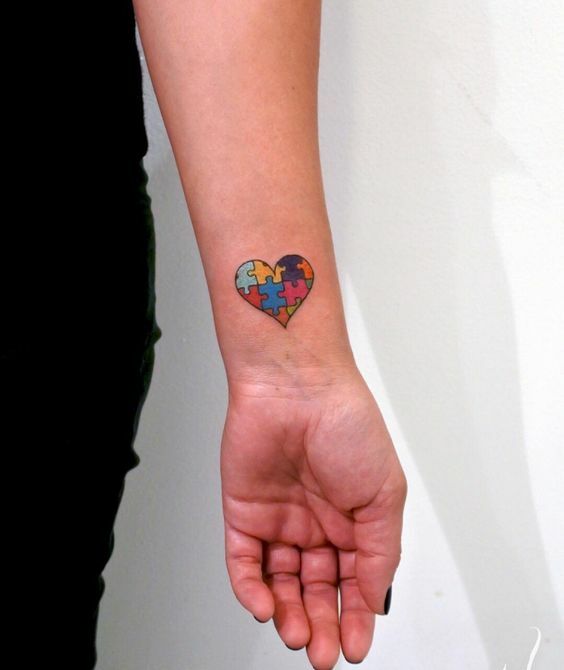 This colorful puzzle styled tattoo would look quite striking. 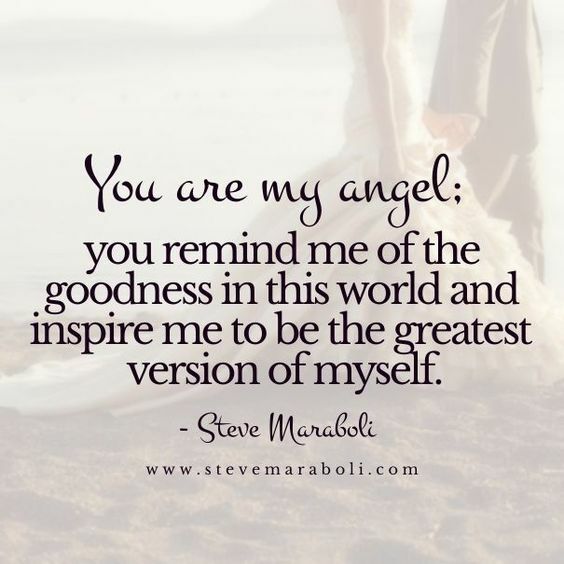 This is one extremely beautiful quote where a mother says to her daughter that you are my angel. You remind me of the goodness in this world and inspire me to be the greatest version of myself. Daughters are the source of happiness for everyone.